(神は日本を憎んでる, Kami wa Nihon wo Nikunderu, in Japanese) is a 2001 novel by Douglas Coupland. It was released solely in Japan and has little English text in it. 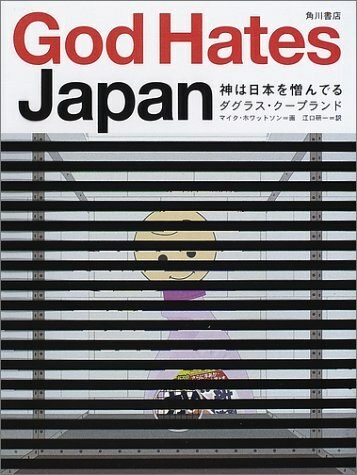 The book was published by Kadokawa Shoten and illustrated by Michael Howatson. The story focuses on characters lost in the malaise that swept Japanese culture after the burst of the bubble economy in the late 1980’s and early 1990’s. It also depicts the way some of these characters lived in the shadow of a death cult’s 1995 sarin-gas assault on Tokyo’s subway system.